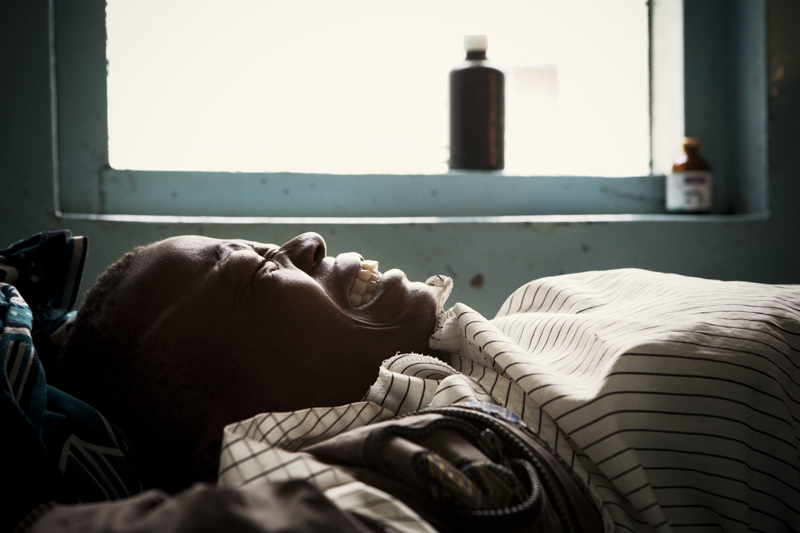 KISUMU – JULY 4: A 24-year old Kenyan woman cringes from extreme pain as a doctor preforms a speculum exam at the Kisumu District hospital in Kenya on July 4th, 2010. She is suffering from what the doctor calls septic abortion. Septic abortion whether spontaneous or induced is the termination of a pregnancy in which the mother's life may be threatened because of infection and germs. The woman requires immediate care, antibiotics and possibly evacuation of the uterus.